"Crax the fun. 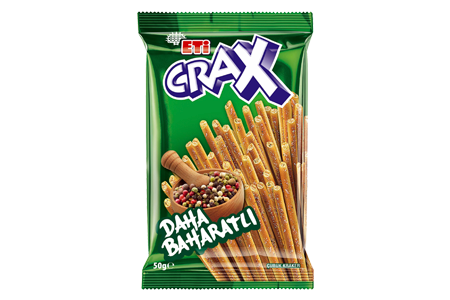 Crispy ETİ Crax taste melting in the mouth is more attractive with specially selected and properly mixed spices. Take a spicy stick and start the fun!"